Many new landlords are punctual to the showing of their Troy rental investment home, but do little to prepare. Advance preparation is needed, though. Here are steps to safely and efficiently show your rental home. 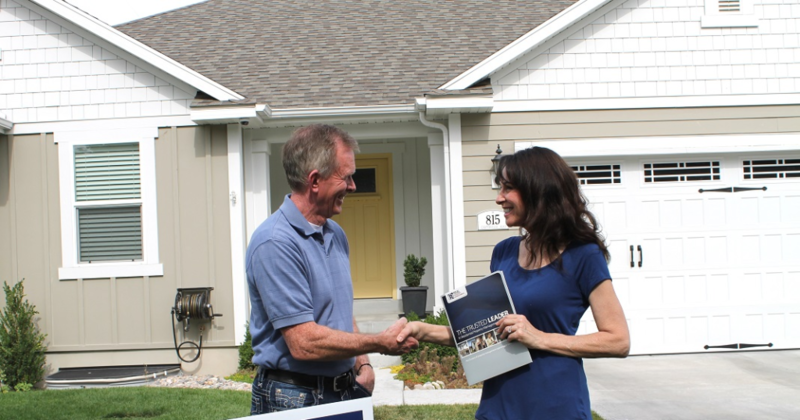 Prioritize your personal safety above all when doing property showings. Let a friend or family member be aware of your schedule, and inform them when you arrive and leave your rental property, as well as your next destination. Like hiking in an unfamiliar place, meeting potential renters at your property can be unpredictable. Potential tenants are still strangers, so be careful. Prioritize your personal safety above all when doing property showings. Show up about 15 minutes early. Doing this allows you to get rid of stray garbage quickly, look into the mailbox, and remove that unsightly weed at the front door. You can also prepare the indoors by opening the blinds and setting the temperature to a comfortable level. Although doing these actions may seem small, they could make a big difference on the potential renters’ first impression of your property. Greet your potential renters at the front porch once they arrive and guide them inside. Allow your prospective tenants to get inside first while keeping yourself nearest to the exit to ensure personal safety. At this point, let your salesperson come out and point out your home’s flooring, lighting and other special amenities. Notify them about the appliances that will be staying for their use. Also discuss important matters such as parking rules and common interest community restrictions. Tell them about the nearest shopping areas, public transportation, and other areas of interest related to the home. Be with your potential tenants but never stay too close. Allow them to explore your Troy rental investment home while answering questions. Your aim is to let your prospective renters visualize themselves living inside your home. The more references you can make that will assist your potential renters to feel as though they have arrived at a place to call their home, the better. After finishing the tour, inquire whether they are interested in applying for a lease. Never give them false hopes that they are already qualified to rent, though, since the approval process tends to be unpredictable. Yet, also create a sense of urgency on their when it comes to the application by telling them that you have other appointments. Let them know that you process on a first come, first serve basis and advise them of the timetable for your final decision. An accurate and well-designed plan and day will help to produce a safe and effective outcome for this significant period of renting your home out. Want to learn more about Troy property management? Please contact us for more information.